Funny print for the gin lover. 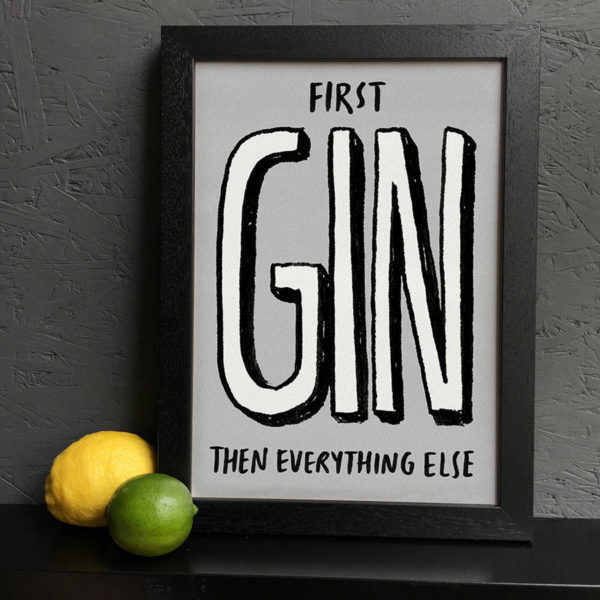 For someone who’s got their priorities right. 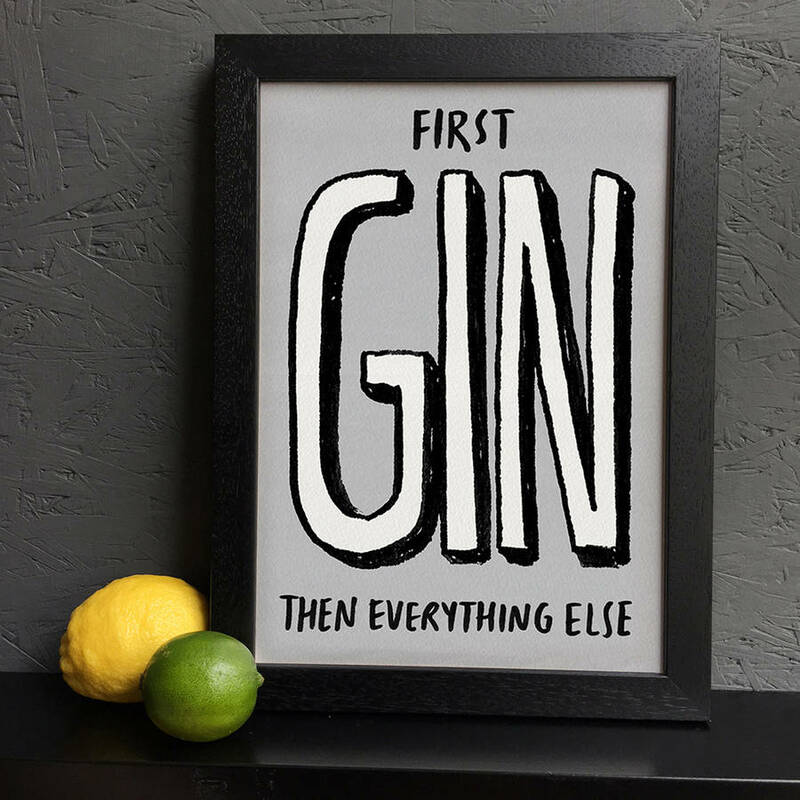 For the gin lover, first gin then everything else. 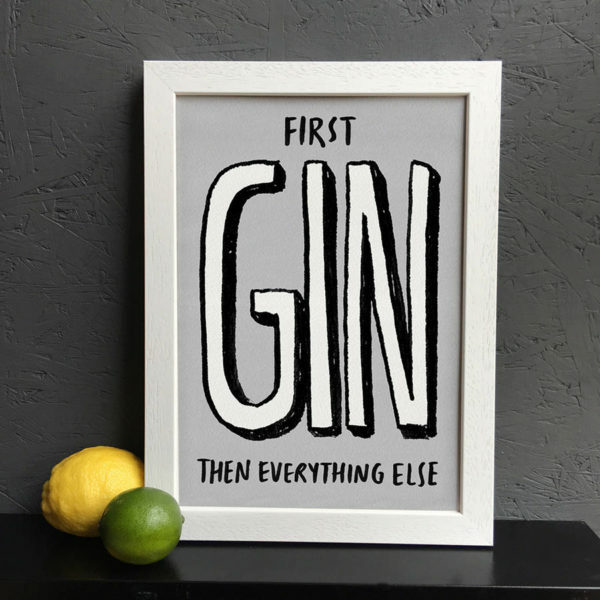 This funny gin print would look fabulous in any gin lover’s home. Available framed and unframed (A4) and unframed only in A3 (297mm x 420mm). A4 (210 x 297 mm).